An in-depth look at the characteristics of a winning customer experience measurement strategy. Metrics are an important topic when it comes to customer experience (CX). They identify the value of good CX and provide a quantitative foundation for CX efforts to compete for funding with other areas of the business. More importantly, however, CX metrics also help identify where to best invest in changes by putting a spotlight on an organization’s strengths and weaknesses. But CX metrics aren’t a panacea; they are often misused. To gain the most ROI from customer experience efforts, companies must use CX metrics as a learning tool. When measuring the customer experience, companies should focus on four customer areas: behaviors, attitudes, perceptions, and interactions. But that’s just the first step. It’s what happens after you measure that’s most critical to the ROI picture. What are companies doing with CX metrics? Satisfaction and likelihood-to-recommend are key metrics. We asked companies about the specific metrics they regularly track. More than 80 percent of respondents use likelihood-to-recommend and interaction-satisfaction measures, making these the top two metrics on the list. More than three-quarters of respondents use Net Promoter® Score (NPS®). Customer service is the best-measured portion of the lifecycle. Respondents also rated how effectively they measure different stages of the customer lifecycle. At the top of the list, 73 percent of companies think they do a good job of measuring customer service. Non-customers are somewhat invisible. While companies effectively measure the experiences of new customers or those who have recently renewed, they have trouble measuring prospects before they buy or customers who have defected. Less than one in five respondents think they do a good job of measuring these non-customer experiences. The phone is the best-measured channel. Sixty-two percent of respondents feel good about their phone experience measurements. At the other end of the spectrum, companies feel least confident about their measurements for experience on wireless devices and those that cut across channels. Emotions are on the rise. More than half of respondents say they are good at measuring interaction satisfaction, but only 30 percent feel that way about measuring the customer’s emotional response to an interaction. What does a good CX metrics program look like? First, they are consistent. If companies don’t use the same core set of CX metrics across the company, there will never be a strong, common dialogue around CX. How difficult would it be for an organization to operate if everyone had different measurements for “sales” or “profitability?” Using a consistent set of CX metrics helps to build a clear vocabulary, which will enable an organization to have more productive discussions about CX. Successful programs also have impact. Metrics are meaningless unless organizations use them to make decisions. Companies need to identify metrics that are meaningful enough to drive decisions—and then act on them. In addition, companies make trade-offs across their business all the time. Sometimes short-term goals like current quarter sales win out, while other times companies are willing to invest in their future. Companies must integrate CX metrics into the larger business discussion. Finally, reviewing CX metrics on an annual basis turns the data into a backwards-looking scorecard. If you want to actually make improvements in your business, then CX metrics need to be continuous and considered an ongoing tool used to run, not just to measure, the business. Using these four areas as criteria, Temkin Group created an assessment of CX metrics programs and analyzed 200 companies. We found that only 12 percent of companies received good or very good ratings. At the other end of the effectiveness spectrum, 44 percent of companies have either very poor or broken programs. And on average, the programs do an adequate job with consistency across their organization, but companies are the least effective at integrating CX metrics with other business operations. One of the most disturbing findings from our research is that only 38 percent of respondents indicate that their company bases many important decisions on CX metrics, and this level has remained relatively flat over the previous three years. Other top obstacles to improvement are limited visibility of CX metrics, lack of taking action on the metrics, and too little compensation tied to CX metrics. 1. Establish core CX metric(s). You need to start by determining what you will use to measure customer experience. As we talked about earlier, satisfaction and Net Promoter Score are common measurements to use. 2. Establish business metrics. What business or brand goals do you think your CX metrics will influence? Will it make customers buy more, use lower cost channels, or try new products more frequently? Whatever measures of success you use, make sure you can measure them. 3. Group customers based on their CX metrics. Using the customer experience metric, group customers into three to five categories based on how they rated the company. If you use Net Promoter Score, this could be Promoters, Passives, and Detractors. 4. Analyze difference in business metrics. For each of the groups of customers, look at their business metrics versus similar customers. Determine to what degree they are more or less valuable than other customers. We’ve found a difference in business metrics for Net Promoter® Score segments across thousands of consumers. 5. Calculate the value of changes in CX metrics. We can now figure out how much it’s worth to the company to move customers to higher levels of CX. 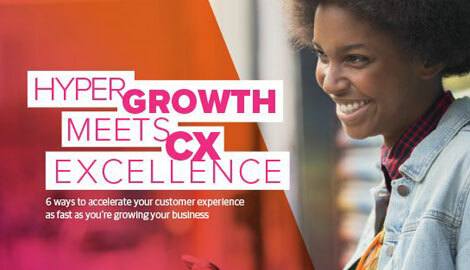 Let’s say for instance that the customers who gave the company the lowest CX scores are worth $200/year and renew at a 60 percent rate and those who gave the highest score are worth $500/year and renew at a 90 percent rate. For every 100 people that we can shift from one group to another, we gain $30,000 in the first year and retain 30 more customers in the following year. Don’t get enamored by any single metric. No matter what you’ve heard, there’s no such thing as an ultimate metric. Successful companies use a portfolio of metrics and succeed or fail based on what they do with the metrics, not just by reporting them. Don’t create complex CX metrics. Any metric that you use should be easy to understand. If a metric is a convoluted combination of multiple items, then it will be hard for people to understand what they mean, and even harder for them to recognize how they can affect them. Don’t tie too much to compensation. While respondents identified the lack of compensation tied to CX metrics as a key issue, companies can run into problems when they tie too much compensation to a metric. The focus on a number creates unintended consequences such as “gaming” the feedback system. Don’t let CX efforts become isolated from the business. While it may be interesting to have a separate CX dashboard, this type of activity reinforces the split between CX and other operations. As much as possible, try to get leaders to examine CX metrics at the same time and in the same way that they examine other key business results. Don’t lose site of the ultimate goal… improving. The goal of using CX metrics should not be to build an ROI case or to prove that CX investments are valuable. The goal is to help the organization achieve its mission. So make sure at least 80 percent of your work with CX metrics is focused on making improvements to your business. Leading companies use these strategies and tactics to not only measure, but also to create real business impact while also improving their customers’ experiences.